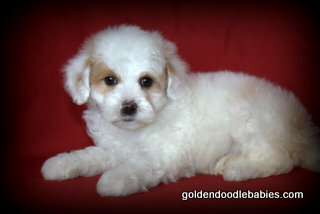 Puppies are listed from oldest to youngest, please scroll all the way down to see all available puppies. 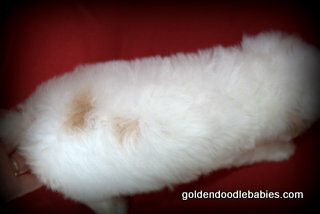 Please click here for upcoming litters not born yet. 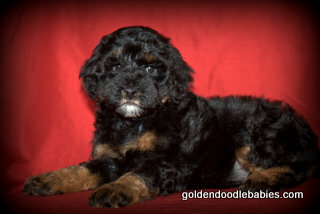 Announcing....We have a beautiful black F1 medium male available ready for his forever home. 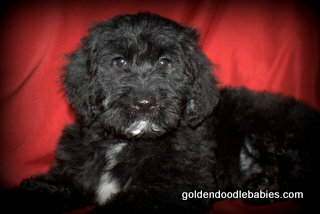 Are you looking for a quality, family raised goldendoodle but can't afford the price? This beautiful boy has been reduced. He has a great personality, loves to play and is ready for his forever home. 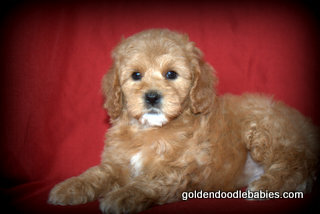 This beautiful boy has a wavy coat and will be approx 35-45 lbs. This beautiful girl is loving, affectionate, and loves to play. She is ready for her forever home. 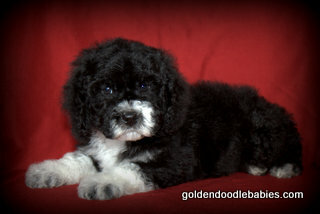 Announcing...We have beautiful Multigenerational (doodle bred to a doodle) micro-petites (15-25 lbs) available. Ready for their forever home May 4th. ***Please note, our multigenerational litter will be like an F1b litter as far as shedding. 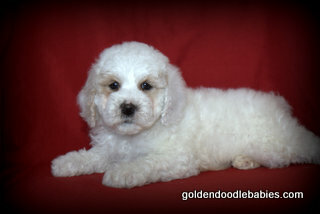 We had our micro dad tested and he does not carry any shedding genes so breeding to him is like breeding to a poodle. This beautiful girl has a very soft, wavy coat. 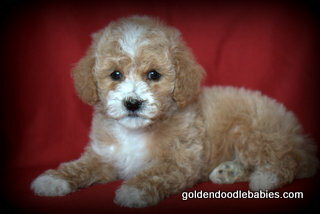 She is very tiny and is expected to be a micro 10-15 lbs. Announcing...Our beautiful F1 minis have arrived!!! 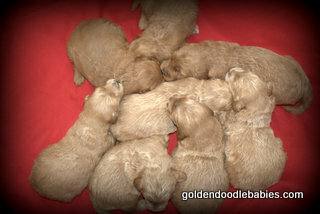 These beautiful babies are ready for their forever home May 25th. 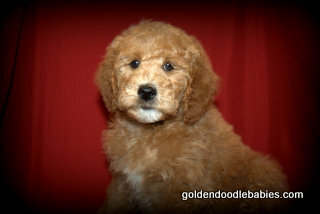 Please clear your schedule for this weekend, as we do not generally hold puppies. 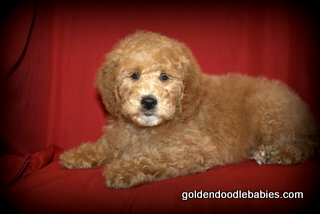 *F1 means- 1/2 Golden Retriever and 1/2 Poodle. 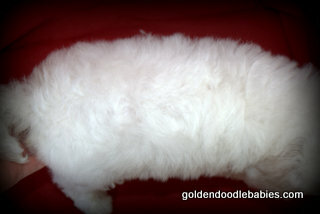 Most are non-shedding, but some may have a low shedding wavy coat.